REDUCED TO SELL! 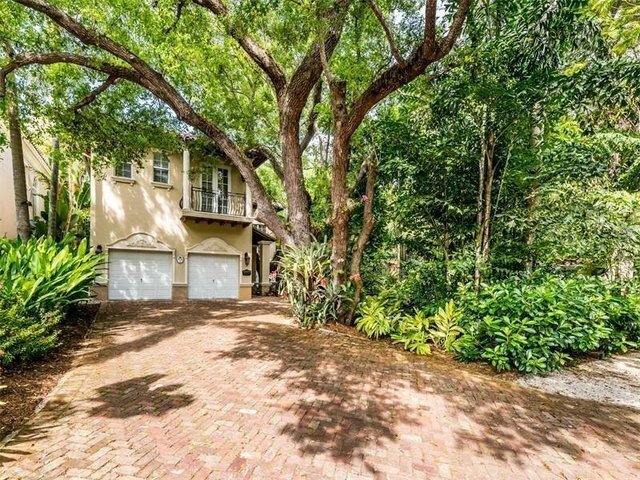 Incredible price for this elegant 2-story villa on prestigious Frantz Road in South Coconut Grove. Built in 2003, this open floor plan has light filled living spaces with high-end quality finishes. The living room has a double height ceiling, the dining area is large and snuggle in the cozy family room. Custom gourmet kitchen with wood cabinets, granite counters, stainless steel appliances, snack counter, and eat-in breakfast area. All living areas lookout to heated pool & spa and is surrounded by lush foliage. All bedrooms are upstairs with en suite baths. Master is large with a balcony overlooking the pool, 2 walk-in closets, and beautiful bath. Impact windows and doors throughout. Dont miss this wonderful opportunity- this is a 10+.